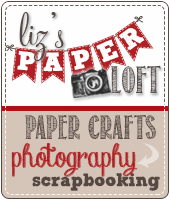 Liz's Paper Loft: Throwback Thursday Challenge with My Creative Time! Throwback Thursday Challenge with My Creative Time! 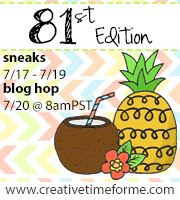 Welcome to Throwback Thursday Challenge with My Creative Time! 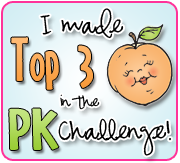 For today's challenge Emma has asked us to do a "Cricutless Challenge" using the colors Purple, Green, Orange and Black. Oh, I think I failed to mention something...yes it's official, I'm now with My Creative Time Design Team! I'm so excited to join the team with the other amazing, talented gals! To make the rosette, I cut 3 strips 1 3/4" x 6 ", then scored every 1/4", glue all the ends together. I also cut 2 of the circle dies, I used one for stamping and the other for gluing to the back of the rosette to make it flat. This will make more sense when you're doing it. After stamping the 2nd disk with All Around Halloween stamps, I colored with copics, then added glitz glitter to the heart on the hat. Glued the scallop and the stamped circle to the rosette, once dry, I added chucky orange glitter to the edge of the rosette. Then added beads, a crystal and ribbon. Voila! 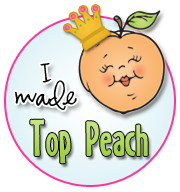 So head over to My Creative Time to see all the projects from the DT! Come enter Emma's Throwback Thursday Challenge and join in the FUN! Love this! That little hat is precious! 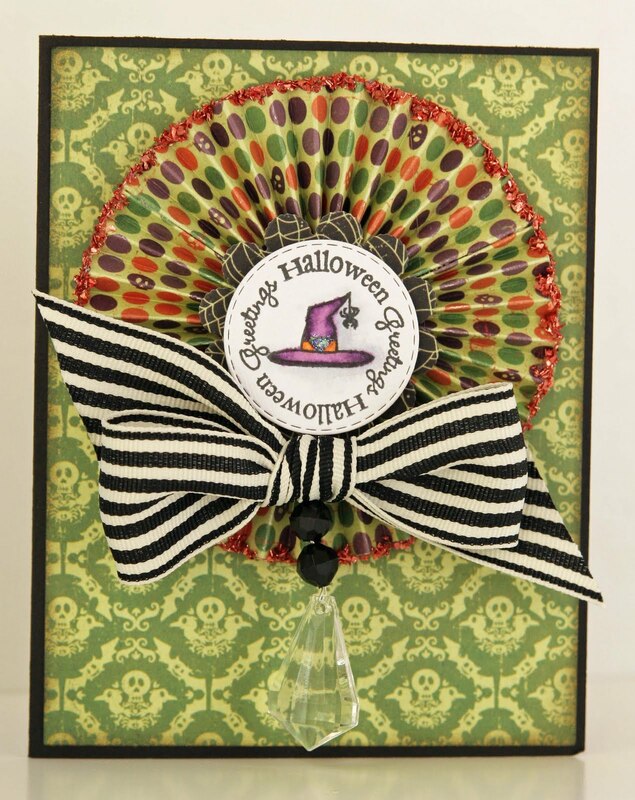 Great card....love the big bow and the hanging gem! GORGEOUS card, Liz! 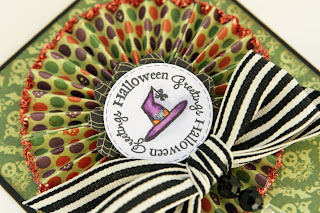 The rosette looks great with the stitched circle! We're so excited to have you on our team!!! Love this card Liz! So excited that you are on the team! Yay! 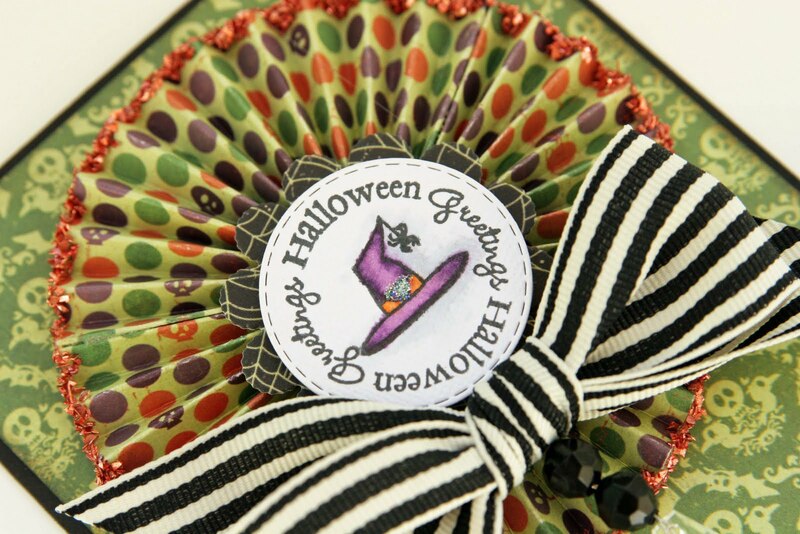 Love the rosette and glitter. Yay Liz! Awesome news! Love everything you create and this is just fantastic! 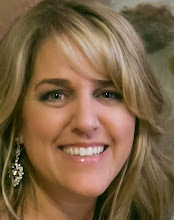 Welcome to My Creative Design Team....glad to have you on our team!!! Love this. Awesome Card Liz. I love your rosette. Welcome to the TEAM. 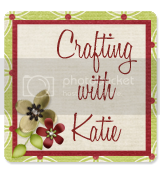 Looking forward to working with you and seeing your creations. 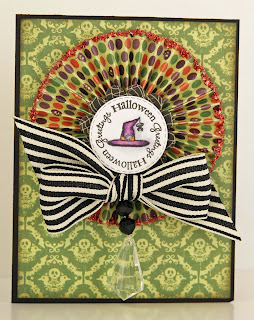 Love the rosette and the big ribbon!!! Love this, Liz! Congratulations on making the team. Can't wait to see all your wonderful creations. Nice job on the card the rosette is awesome. Congrats on being on Emma's team. Congratulations on becoming a DT member of MCT. I just love your card. Your rosette is wonderful. I need to try more of these. I'm your newest follower. I loved the ribbon, Liz! I am going to search for some the Internet today! your card is awesome, when i have more time i am coming back to see all the projects i have missed if time allows that is. congrats on the dt w/sweet emma. she does have such nice stamps too. empty nested here...very sad right now but i know it will get better. are you empty nested too? Oh wow I love this! The paper is wonderful.